We all want to be fit, strong and lean, and that takes fueling your body to have more energy to train harder and build muscle, and then burn off the fat. On the other hand, if your order of priorities is reversed and being lean is your primary goal, then some new ideas about exercising on an empty fuel tank may speed up the process for you. Reader beware! This experimental strategy is not for performance enhancement or the faint of heart. The whole premise of this hypothesis is based on a basic metabolic understanding that your body burns fat while you fast. A paper was published in the journal Medical Hypotheses by clinicians from Tijuana, Mexico. This interesting journal is a great vehicle for scientists to discuss theories that may deserve serious research attention, but it is not a research publication. The authors of the pilot program wanted to see what would happen with fat burning if they had people perform exercise in the middle of a mini, 12-14 hour daily fast for 12 weeks. Twenty-seven obese men and women participated in the program. This was more of a clinical assessment than a research study: the design was “open-label,” meaning that the subjects knew they were in the study group, and there was no control group. During every 24 hours, there was a 12-14 hour fast with moderate-intensity exercise nested within the fasting period. Low-fat, low-glycemic index foods were encouraged, but there were no caloric restrictions. Exercise times did not have to be consistent, and could move from morning to noon to evening, with the fasting period moving as well. The participants exercised for 45 minutes, three to five days weekly. The actual exercise consisted of brisk walking, jogging, stair climbing, treadmills and elliptical gliders. It would be hard to do much more activity in the midst of a fast. In addition to the mini-fast and exercise program, the participants were encouraged to consume high amounts of non-calorie liquids, especially during the fasting periods, use stress-reduction techniques, and they received psychological counseling. The authors suspect that these ancillary support measures aided diet and exercise compliance. The outcome of the 12-week program is impressive. Total weight loss averaged a little more than nine pounds. Even better, fat loss averaged over 16 pounds, a 25 percent drop in fat mass. Their health parameters associated with cholesterol and glucose control also improved with a three-inch loss in waist circumference. We have no data beyond this 12-week program. While these dieters were successful during the program, they had a counseling support program to help them stick with the plan. We don’t know how well they will sustain the mini-fast strategy beyond the study period, nor do we know what happens when they stop following the strategy. The authors suggest that this is a sustainable lifestyle program and does not present an alternative maintenance plan. This is an obese group of subjects who exercised very moderately three to five days a week with at least two rest days every week. Nothing in this publication can tell us how it might apply to a fairly fit individual who would like to lose fat but still enhance fitness. In fact, longer, more intense levels of exercise would be very difficult, and even painful to sustain in the midst of a mini-fast on a regular basis. This is not a strength, muscle or endurance-building protocol. Even though in these subjects it appears that muscle tissue was at least preserved, and possibly even gained during the 12 weeks, in an athlete it is likely that strength, power and endurance might be diminished while following this type of plan. We have no data on those factors. If performance is NOT your goal and you’d like to get leaner, then you can experiment on yourself using the basic mini-fast with exercise strategy, and a few pointers that may make it more sustainable in your fitness-oriented life. But be careful. 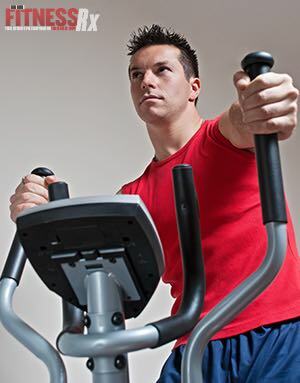 Exercising without much fuel in your tank may be difficult, and even dangerous. Balance and coordination are compromised, and blood pressure can drop when blood sugar levels are low. Be mindful of your activities and do not train alone. I call this a periodized plan because your fasting and training will alternate throughout the week to try and maximize all the possible metabolic benefits of exercise while fasting, and exercise with some small amount of fuel on board. You will have higher and lower training days, allowing your body to burn fat and still stay more fit. Additionally, for anyone who is used to higher levels of exercise, this should just feel better.